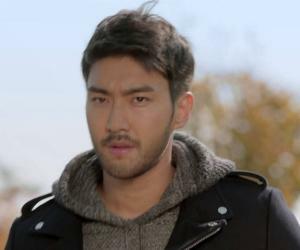 Choi Si-won is a South Korean singer-songwriter. Check out this biography to know about his childhood, family life, achievements and fun facts about his life. Choi Si-won is a South Korean singer, songwriter, model, and actor. A member of the South Korean boy band ‘Super Junior’ and its Mandopop subgroup, ‘Super Junior-M’, Choi has also ventured into acting in South Korea, China, Hong Kong, and Taiwan. In fact, he has done more acting projects than music projects! He has received critical acclaim for his acting skills and comedic portrayals of characters, and has experienced a rise in popularity as an entertainer due to his charming personality and onscreen presence. 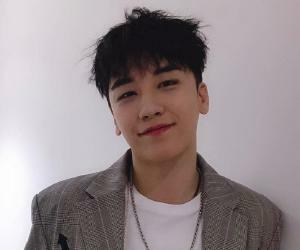 He has participated in a number of UNICEF campaigns, and after his discharge from the mandatory military service for two years, he volunteered for the UNICEF campaign ‘SMile for U’ in Vietnam in August 2017. The campaign is a music education program for children with disabilities, organized in partnership with his agency. Choi actively appears on variety shows, making frequent appearances on ‘Love Letter’ and other popular South Korean variety programs. He is also a well-known face for endorsements, and has endorsed for many South Korea products. 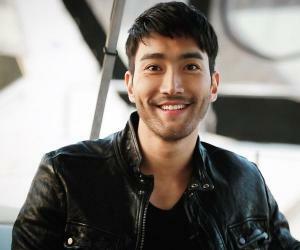 Choi Si-won was born on April 7, 1986, in Seoul, South Korea. He has a younger sister Ji-won. He father was the President of Korean Slim Fashion, before becoming CEO of Boryung Medicine in 2011. Choi’s family also owns the Hyundai Department Store, one of the largest supermarket chains in Korea. His father owns a trading company in Japan as well. His mother too has her own company. He graduated from Apgu Jeong High School in February 2006 and from Inha University in February 2012. He can play the drum and piano. 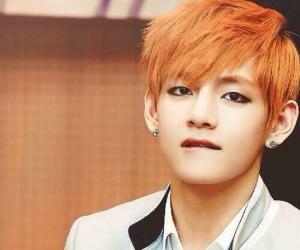 He is a Taekwondo expert, and was once the youngest in Korea to hold the fourth rank in the black belt. When Choi Si-won was 16, an SM Entertainment talent agent discovered him while he was waiting for his friends in front of his high school. The agent suggested that he audition for the company's ‘Starlight Casting System’. He auditioned without taking his parents’ approval. After he was selected in the audition, his parents allowed him to sign a contract with SM Entertainment on the condition that he will continue his studies. They also did not give him any financial support, as they wanted him to take responsibility for his actions. He moved into the agency’s dormitories with fellow trainees, and was trained in singing, acting, and dancing. In 2003, during his training period, he was featured as a solo singer in a music video of The Grace's ‘Dana’. In 2004, he made a brief appearance in a drama, ‘Precious Family’ and in 2005, in KBS drama ‘Eighteen, Twenty-Nine’, where he played young Kang Bong-man. He officially debuted as one of the 12 members in a boy band called ‘Super Junior’ and also joined its subgroup Super Junior-M’. A few months before debuting with the band, he made his first official media appearance with bandmate Han Geng, as one of the models in a fashion show by Bum Suk. On November 6, 2005, he performed with the band on SBS's music program ‘Popular Songs’, and performed their first single, ‘Twins (Knock Out)’. They released their debut album ‘SuperJunior05 (Twins)’ on December 5, 2005. In 2006, he played the supporting role of Park Sang-woo in the drama ‘Spring Waltz’. He also debuted in a Hong Kong epic film ‘A Battle of Wits’, where he played the role of Liang Prince. After the 13th member Kyuhyun joined the band, the group dropped the suffix ‘05’ and officially became known as ‘Super Junior’. The 13-member group's first CD single ‘U’ was released on June 7, 2006. In 2007, he was cast in ‘Attack on the Pin-Up Boys’ along with other Super Junior members. That same year, he was featured in MBC's 2-episode mini-series ‘Legend of Hyang Dan’. In April 2008, he was shifted into a seven-member subgroup ‘Super Junior-M’, a Mandopop subgroup of ‘Super Junior’ for the Chinese music industry. The group first performed in China at the 8th Annual Music Chart Awards and released their first music video, ‘U’ on April 8, 2008. Choi’s group release their debut Chinese-language studio album, ‘Me’ in China on April 23, 2008 and in Taiwan on 2 May. On April 30, 2008, a Korean version of the album with three Korean tracks was released in South Korea. 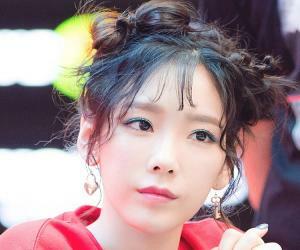 On May 2, 2008, modified versions of the album were also distributed in many Asian countries like Hong Kong, Taiwan, Thailand, Malaysia, Japan, and others. In 2010, he was featured in SBS' romantic comedy ‘Oh! My Lady’, a South Korean television series. That same year, he was cast in a big-budget spy series ‘Athena: Goddess of War’, as a data analyst and rookie elite agent. The series was a spin-off of the hit drama ‘Iris’ released in 2009. In 2011, he was featured in KBS' action drama ‘Poseidon’. In the same year, he was featured in his first Taiwanese drama ‘Skip Beat!’ with Ivy Chen and fellow band member Donghae. The series was an adaptation of Japanese shōjo manga ‘Skip Beat!’ by Yoshiki Nakamura. In 2012, he was featured in SBS drama ‘The King of Drama’, where he portrayed Kang Hyun-min, a top celebrity. In 2015, he was featured in a number of projects. He was cast in Hong Kong’s historical-action film ‘Dragon Blade’ with Jackie Chan. Next, he did a crime thriller ‘Helios’ and sports drama ‘To the Fore’ along with Eddie Peng and Shawn Dou. 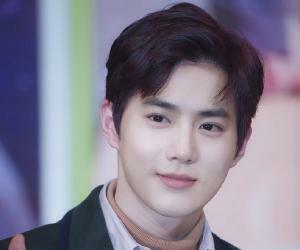 In the same year, he was featured in the Chinese romance drama ‘Fall In Love With You Again’; and in ‘Billion Dollar Heir’, a Chinese adaptation of the hit drama ‘The Heirs,’ released in 2013. In Korea, he was featured in MBC's romantic comedy ‘She Was Pretty’, as the second male lead. In October 2017, he will star in the upcoming tvN drama ‘Revolutionary Love’, along with Kang So-ra. The drama will be his first project after his discharge from the military service. He will portray the role of Byun Hyuk, an unemployed boy who has no goals in life. The album ‘SuperJunior05 (Twins)’ debuted at number 3 on the monthly MIAK K-pop album charts in December 2005. The album sold over 28,000 copies within a month of its release and has since surpassed sales of over 100,000 copies. In 2015, he released a single for the drama, ‘Only You’, which got positioned atop the music charts. In 2010, he won a SBS Drama Award in the category New Star Award for ‘Oh! My Lady.’ In the same year, he also won the 4th Men's Health Cool Guy Award in the category Best Cover Magazine. Choi Si-won is a devout Protestant Christian who said in an interview that after his entertainment career, he would become a missionary. He posts Bible quotes on his Twitter and Weibo accounts. He has often collaborated with Christian singing group ‘Third Wave Music’. He was enlisted for his mandatory military service as a conscripted policeman on November 19, 2015 and was discharged on August 18, 2017. Since 2010, he has joined many UNICEF campaigns. On November 12, 2015, he was appointed as the special representative of the South Korea committee for UNICEF. Choi has lost a considerable amount of money through his real estate business ventures. He had purchased a two-story building in September 2015. After renovating the building with a huge loan amount, he is now facing problems on non-occupancy of the building. Eventually, he agreed to sell off the building at a price much lower than the market price.